The 1906 Antiquities Act, which grants the president unilateral authority to protect broad swaths of land as monuments, has long stirred controversy in the West, where we don’t like the feds overstepping. The 1.9-million-acre Grand Staircase-Escalante National Monument, designated by Bill Clinton in 1996, is still a sore point because Utah’s congressmen and governor were given only 24-hours notice; it also blocked a proposed coalmine. Neighboring counties were still fighting its management plan in federal court in 2009. But in New Mexico this April, the politics were surprisingly different as President Obama designated a monument called Río Grande del Norte. Its 240,000 acres of Bureau of Land Management land stretch north of Taos to Colorado and encompass sweeping sage plateaus, 10,000-foot-high mountains and the most dramatic stretch of the Río Grande Gorge. At a celebration in Taos, ranchers, Hispanic land-grant heirs and Taos Pueblo tribal officials rubbed shoulders with environmentalists and outdoor recreationists. Rather than decry presidential meddling, members of New Mexico’s congressional delegation touted how it would boost tourism and thereby create nearly 300 jobs and $15 million in annual revenue. Why was Río Grande Del Norte so different? The effort to create it started out like any other environmental campaign, and it could have easily floundered in the divisive dynamics of outside groups pushing an agenda without community involvement. But here, the campaign was driven by local Hispanic leaders — from bottom to top. “The proudest moments of my conservation career have been coalition meetings for the Río Grande del Norte, because they truly reflected the multicultural and multiethnic nature of the community,” says Michael Casaus, New Mexico director for The Wilderness Society. So when then-Sen. Jeff Bingaman, D, held meetings on the Río Grande Del Norte in 2007 to prepare a bill for 2009, Esther García, current mayor of the village of Questa next door to the monument, emerged as one of its staunchest opponents. Garcia and her constituents worried it would hamper their cattle grazing and firewood and piñon-nut gathering, which date back to the 1700s. “We called Washington and told them that without the land grants, it was a no-go,” says the 67-year old. The New Mexico Wilderness Alliance then began helping Bingaman’s office with precedent-setting provisions that recognized land grant rights under the Treaty of Guadalupe Hidalgo, required that grantees be consulted on management decisions and protected traditional land uses. Even so, Garcia’s trust proved elusive until the organization tapped John Olivas, a Mora hunting and fishing guide who studied environmental science, to be its traditional community organizer in 2008. “If the movement didn’t happen within the Hispanic leadership, it wasn’t going to happen” in northern New Mexico, Olivas says. “Esther and I spoke the same language.” Garcia’s brother, who holds a grazing permit on the monument land, along with the Board of Trustees of the local land grant, slowly came on board; other traditional community members followed. “It took a lot of pots of posole,” says Roberta Salazar of the local conservation group Rivers and Birds, who took up the cause in 2008, followed soon after by New Mexico Wildlife Federation’s Max Trujillo. Ernie Atencio is a contributor to Writers on the Range, a service of High Country News (hcn.org). 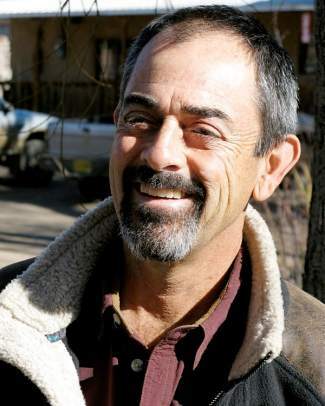 He is a longtime environmental organizer and writer in his native New Mexico.